The Russian Duma’s new bill on that would require all nongovernmental organizations operating in the country with the assistance of money from abroad to brand themselves as “foreign agents” if they engage in “political activity” is expected to go through its second reading tomorrow, according to the Duma’s website. The bill is raising extreme concern among foreign funded Russian NGOs, who will be forced if the bill passes into law, to radically alter the way they conduct their activities, submitting time consuming biannual financial reports, undergoing yearly audits. They also risk random audits, and should their political activities or accounting be seen as running afoul of the new law, they are also threatened with enormous fines and even imprisonment for their workers. International organizations and governments have expressed concern that the new law will be used as an arbitrary cudgel against political opposition, for which newly reelected President Vladimir Putin has show he has zero tolerance. The second reading of a bill is, by tradition, the most important of three required readings, as it is the review during which possible amendments are debated and a bill takes on its final form before approval. The controversial NGO bill introduced by Russia’s Kremlin-backed United Russia party sailed though its first reading last Friday with almost no debate, achieving a simple majority off 333 votes from Duma deputies out of 450. Many Kremlin opposition parties such a A Just Russia boycotted the vote. The murkiness of what constitutes political activity in the bill was a point raised by the Duma’s upper chamber, the Federation Council, which must also approve the bill before it becomes law, as well as by Russia’s Supreme Court, which in principle backs the bill, according to Russian media. In a July 4 interview on the independent Ekho Moskvy (Echo of Moscow) radio station, he defined “political activity” as “rallies, marches and pickets,” and did not elaborate further. Due to widespread discussion of travel bans and asset freezes by foreign governments against the author of the bill, all 237 members of United Russia signed on as co-authors during its first reading to take the heat off their protégé Sidyakin and complicate such sanctions on a diplomatic level. United Russia’s leader is Russian Prime Minister and former President Dmitry Medvedev – who, for the numerous human rights initiatives that he sponsored during his brief tenure, has had absolutely no comment on the new bill. 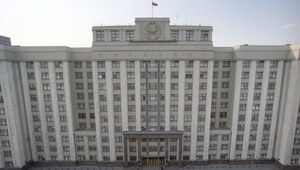 Duma deputies have until the end of the day Thursday to submit proposed amendments to clarify their terminology ­– and the suggested changed are to be published on the Duma’s website. As of this writing, however, no proposed amendments have been published by the Duma. “We have not seen anything on the website, but are expecting that amendments concerning a definition of ‘political activity’ will be up for discussion,” said Nikitin. “Then again, we may not hear of any amendments until Russian news agencies start publishing articles on the Duma debate tomorrow – the amendments might simply be introduced on the floor,” he said. Nikitin added that he was expecting the bill would pass and that there would be no radical changes in its current thrust. For instance, no lawmakers are expected to provide amendments scrapping the requirement that foreign funded NGOs identify themselves as “foreign agents” – a pregnant Stalin era term connoting enemies of the state – on their websites and in all published material. Many tactics aside from possible foreign bank lock downs and visa restrictions for United Russia deputies are already under heated discussion. Lyudmila Alexeyeva, the veteran 84-year-old human rights activist who helms Helsinki Watch, has repeatedly said that she will refuse to register as a foreign agent. “We are working and will consider a number of scenarios when we know the final form of the bill,” said Nikitin. Nikitin himself has said that registering ERC Bellona and Bellona’s other Russian office, Bellona Murmansk, as foreign agents would politicize work Bellona does in Russia, which, in fact, steers well clear of political engagement. “If I were to acknowledge being a foreign agent, I would acknowledge that our organization is political,” Nikitin said in remarks earlier this week. US Secretary of State Hillary Clinton talked to NGO heads after the bill was introduced during a state visit to Russia earlier this month and pledged that the United States would honor its funding commitments regardless of the outcome. Today, State Department spokesman Patrick Ventrell said the State Department had conveyed “deep concern” over the bill to Russia, Voice of America reported.